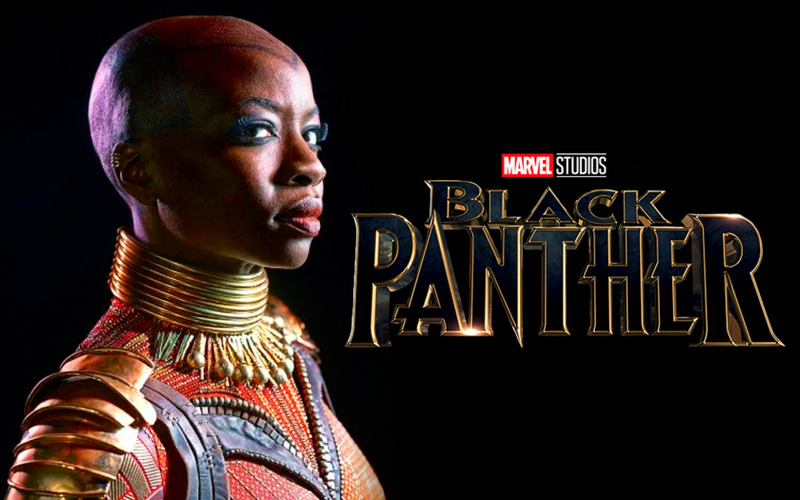 She's Fantastic: Black Panther Marvel Legends - OKOYE! Black Panther Marvel Legends - OKOYE! I love when Marvel Legends plans a female character as the Build-a-Figure for a wave. It's a pretty rare occurrence and I believe this Okoye is only the third. The first being 2015's Jubilee, and the Mantis from earlier this year. I appreciate that they find a way to squeeze in extra female characters, but so far they've seemed like very necessary characters who I would think would warrant a main spot in the wave. But I understand the tooling considerations and politics involved, plus I don't actually like having to splurge for an entire wave just to complete an additional figure. 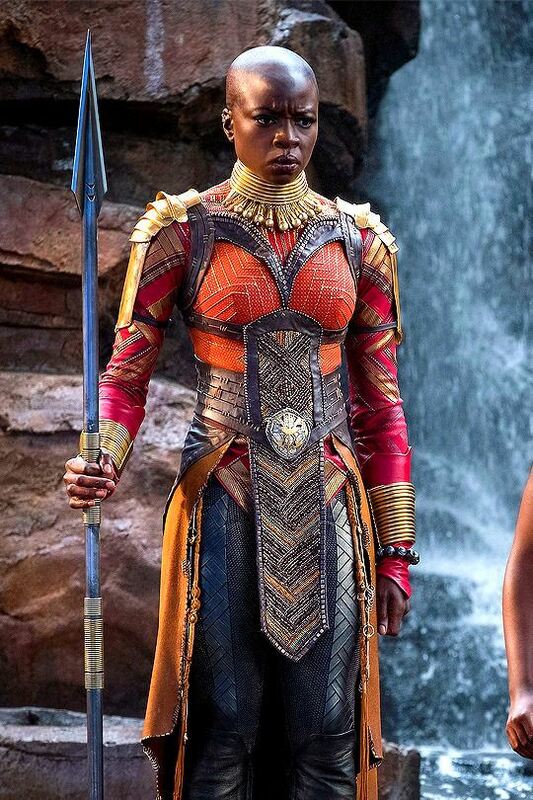 But when it comes to a spectacular figure like this Okoye, I'll do whatever it takes to get her in my greedy little paws. The new Hasbro method of using an advanced face-scanning for the movie figures is pretty amazing. Although I love seeing talented sculptors getting a chance to flex their artistic muscles, I can't argue with the results the machines are producing, especially if it means fast release schedules! Let's check out Okoye below! This is the wave with all the Okoye Build-a-Figure pieces. You need them all except for Iron Man to complete Okoye. 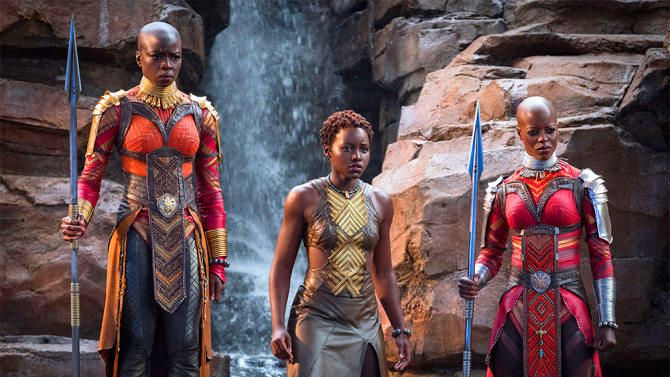 Okoye comes with a large spear. Here she is with Nakia. And here she is with a Michonne figure from The Walking Dead and McFarlane Toys. Danai Gurira is one of those actors who has not had a bad action figure made yet. Most movie and television figure are plagued by horrible face likenesses, but her's so far are terrific. 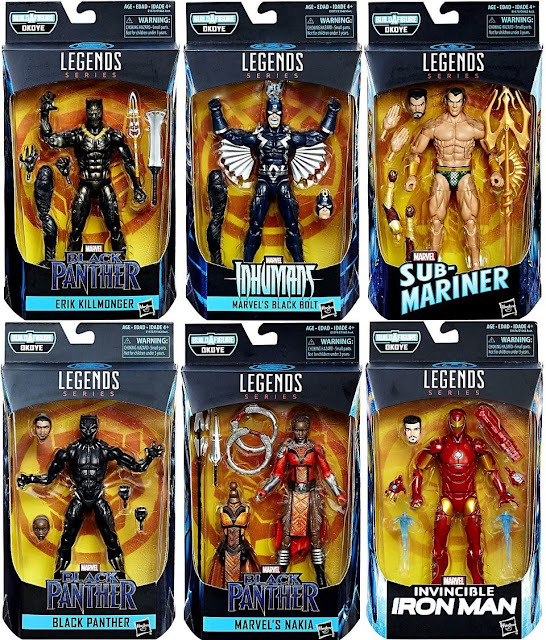 And here they are with the two other movie figures from this wave: Erik Killmonger and Black Panther. And with the two comic-style figures, Black Bolt and Sub-Mariner.